Could e-MTBs damage trail access for all mountain bikers? Suppliers need to take care. It’s been apparent for some time that Eurobike could knock out the “uro” in its name and rebrand as Ebike. The number of electric bikes in Friedrichshafen would certainly allow the Messe to organise a standalone “pedelec” show. Eurobike started as a mountain bike expo, and adding motors to MTBs has created a product category that’s highly lucrative – some parts of the European bicycle business are making an awful lot of money out of e-MTBs. It’s not a category that’s impacted in the UK yet. 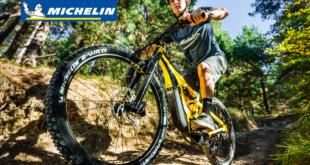 Sales of any electric bikes remain small beer compared to sales of non-electric bikes but here’s a prediction: e-MTBs have the potential to do a great deal of damage to mountain biking as a whole. 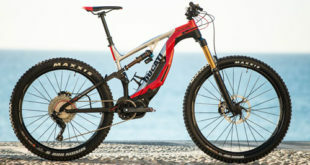 Let me get something straight – in this column I’m talking about electric mountain bikes not electric bikes used for transportation. 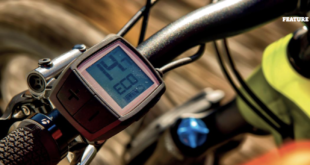 Many e-bikes are perfect for some consumers, and the biggest thing holding them back in the UK (apart from the price) is not demand per se but infrastructure. Countries with lots of separated cycling infrastructure – such as the Netherlands and Germany – have very strong markets for e-bikes. Power-assisted bicycles can bring many new people into cycling or, just as likely, attract back those who felt cycling was no longer for them. The worries I’ll expound on here do not concern cycle-to-work e-bikes or those used on asphalt recreational trails. Years of diligent land management diplomacy, by organisations such as IMBA, could be wiped out by overnight by a few twats on e-MTBs. In Germany, epicentre of e-mountain biking, hikers complain of being spooked by mountain bikers riding uphill, fast, on heavy DH machines. They also complain about mountain bikers on XC machines but at least XC MTBs are human powered. Perhaps Germany has enough mountain trails to please everybody, but in countries where trail access for cyclists is more fragile, the appearance of motor-powered mountain bikes could lead to blanket bans for all bicycles, electrified or not. My beef with e-MTBs isn’t just their speed – if it was I’d also fret about bans for whippet mountain bikers, and on descents, let’s face it, e-MTBs won’t go quicker than DH machines – it’s the possibility they will sow land-management confusion. E-MTBs will be conflated with MTBs. Down the (off) road this could lead to access restrictions for all MTBs. Suppliers with shed-loads of e-MTBs to sell will no doubt dismiss my concerns but, at the very least, I hope they will be careful how they market these machines.